Taiwan’s economy has floundered for the past two decades, plagued by sluggish growth and a lack of direction. 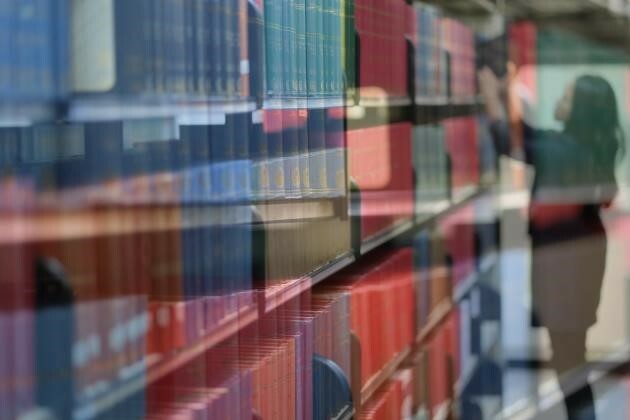 Two Academia Sinica researchers have done an in-depth study of what has gone wrong, and they share their findings in this interview. Since the 1990s, Taiwan has faced major transformations, increasing liberalization and internationalization, an exodus of businesses headed west (to China) and big changes in its overall environment. Yet few studies have been done from an economic or social perspective seeking to unravel what has happened to Taiwan over the past 20 years. 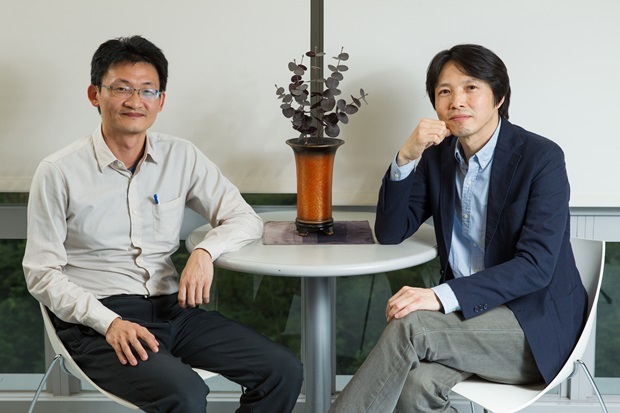 Two associate research fellows at Academia Sinica’s Institute of Sociology, Lee Zong-rong (李宗榮) and Lin Thung-hong (林宗弘), took on the challenge, issuing invitations three years ago to sociologists and economists asking each of them to study where the economic miracle has gone. “We discovered that Taiwan has had to confront many difficult situations. The capacity of government policies to stimulate the economy has weakened, with many examples of failures; companies have grown bigger, but they have become less profitable; and small and medium-sized enterprises (SMEs) are being increasingly squeezed, with the family-run nature of these business a growing problem,” Lee observes. Lee recalls the first time the group gathered. “What everybody saw was a pretty ugly picture, which really made us nervous,” he says. What they saw was a paradigm shift from a “miracle model” to a “recession model,” and they collaborated with 26 sociologists and economists to write about it in the work “Unfinished Miracle: Taiwan’s Economy and Society in Transition,” which is expected to be published in early December. In an interview with CommonWealth Magazine, Lee and Lin shared their insightful analysis of the different issues they uncovered in researching Taiwan’s economic transition over the past 20 years. 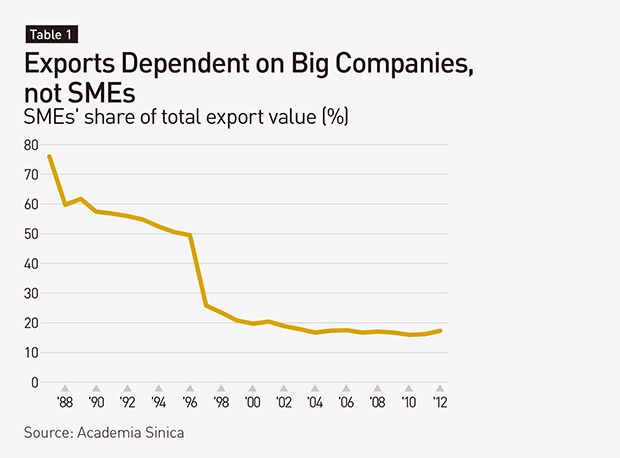 Is Taiwan still primarily a country of SMEs? We’re afraid not. Japan’s biggest company, Toyota, has around 440,000 employees. 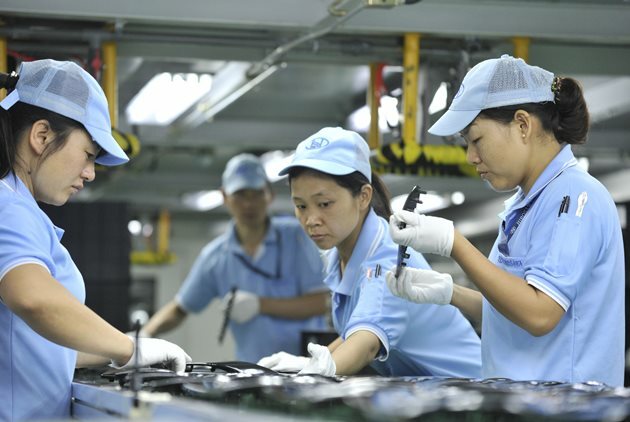 [Taiwan-based] Hon Hai Precision Industry [known as Foxconn internationally] has 1.3 million employees, about triple the number of Toyota. So why was Japan shocked when Hon Hai acquired Sharp Corporation? For a Taiwanese company to be big enough to the point that it could use its massive size to take over an upstream company, this was a completely new phenomenon and was totally at odds with previous stereotypes. Yet, Taiwan’s 10 biggest companies now have an average of 200,000 employees each, and even if you exclude Hon Hai, they still average about 100,000 people each. This fundamental shift in company size is relatively new, occurring only in the past 10 to 15 years, and the pace of the transition has been among the fastest seen anywhere in the world. It may not seem intuitive, but overseas competition has had an effect on domestic capital formation. Capital is becoming concentrated at a far faster rate than could have been imagined, even faster than many examples seen in capitalism’s history. We talk about South Korea being monopolized by a few large conglomerates, but Taiwan is not much better. Hon Hai’s revenues account for 22 percent of Taiwan’s GDP, exactly the same as Samsung’s share of South Korean GDP. Over the past 20 years, the influence of the 10 biggest companies has grown from 25 percent of the economy to more than 40 percent. 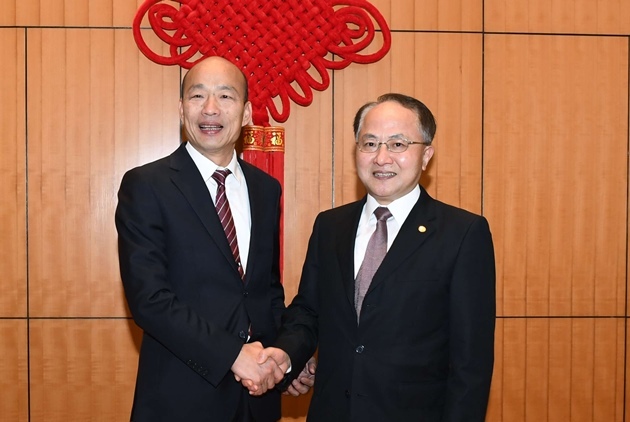 But a large part of Taiwan’s economic activity occurs overseas, with the model of Taiwanese companies taking orders and producing them abroad for clients in third countries still going strong. This three-way trade model could be described as an “artificial life support” economy. A big part of the economy circles around Taiwan before entering because the entire circulation system originates externally and offers little support to Taiwan’s domestic economy. Removing this “life support” system could lead to collapse. But failure to remove it means that domestic supply chains will never be healthy or whole. This “artificial life support economy” has been maintained for about 15 years. Our book tries to estimate just how big Taiwan’s three-way trade really is. Using figures from Taiwan’s 500 biggest companies, we estimated that one-third of their revenues come from China, and because of that dependence, Taiwanese corporations were hit hard when China faced an economic downturn in 2012 and 2013. 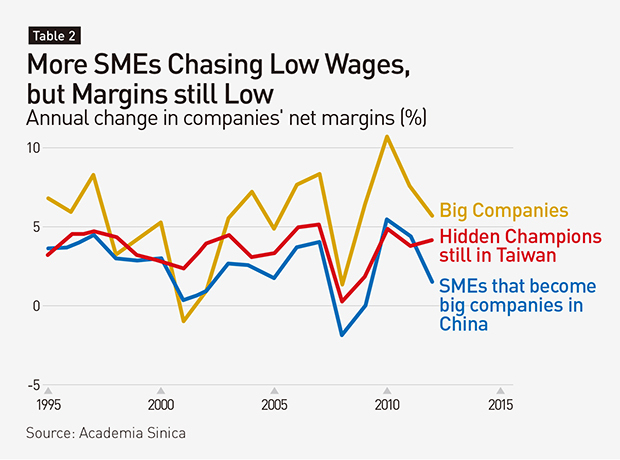 The distribution of Taiwanese companies that have relocated to China shows that their movements have very clearly been based on chasing the lowest wage levels – wherever wages are not rising is where Taiwanese investors go. This may be a very intuitive reaction as many companies were driven out of Taiwan by high wages to begin with, but it has failed to save Taiwanese enterprises from their perpetual battle with low gross margins. This has not been a question of right and wrong; it’s simply the survival instinct. But when you look at the number of Taiwanese businesses that have actually stayed behind and really contributed to the domestic economy, there are only a precious few. One can see from employment figures that Taiwanese enterprises have created far more jobs overseas than in Taiwan. The top 500 companies employ about 2.5 million people abroad (mostly in China) but only 1.5 million people at home. According to estimates, for every 29 people these companies employ in China, they employ one less person in Taiwan. Globalization has generated its share of winners and losers. In retrospect, as Taiwan’s economy became globalized, it should have developed a stronger safety net to care for those who emerged as losers during the globalization process. We may not have done this very well. Taiwan’s rather special political and economic environment of the past relied on big family enterprises that were given preferential treatment by the government in exchange for loyalty. That persisted into the 1990s and even continued to expand during the period of economic transition because of the built-in advantages those big enterprises had based on their sheer size. That system has been hard to shake up even after a change in government. Professional managers are almost guaranteed to hit bottlenecks as they move up the corporate ladder, unable to rise above the second generation of the company’s owner as succession is decided by bloodlines. If those managers cannot rise to the top, why not start their own businesses? The answer is simple. 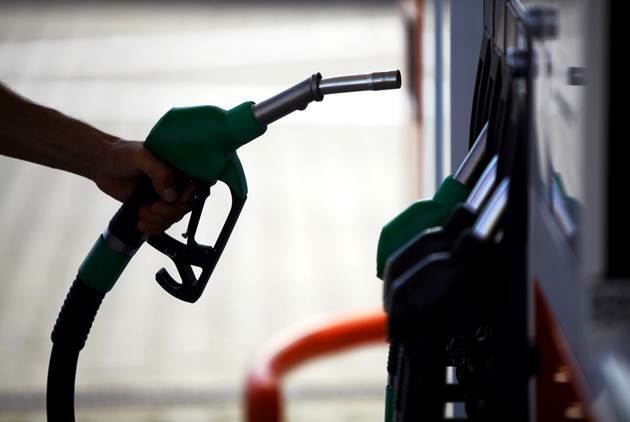 They face a NT$34 million threshold. The average paid-in capital of all of Taiwan’s registered companies is NT$34 million, up seven-fold over the past 30 years. It used to be that companies could make it with just a few million Taiwan dollars in capital. Now, however, creating new companies and companies going out of business have a few million Taiwan dollars in capital, but to survive, you need capital of at least NT$30 million. That has rapidly become the threshold for startups and emerged as an obstacle to social and class mobility. 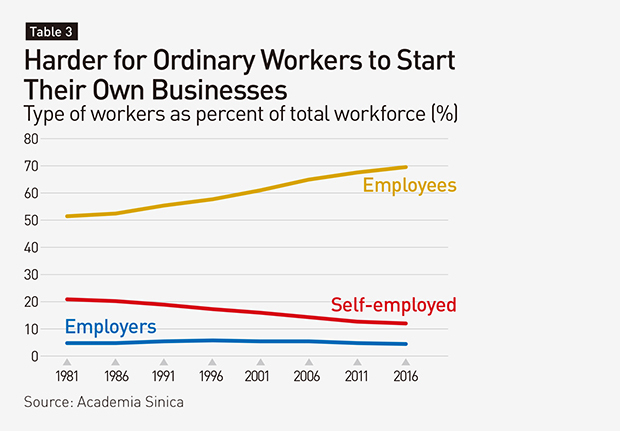 Official statistics on the status of people in the workforce (showing the number of those who are employers, work for their own account or are employees) show that the number of employers in Taiwan are on the decline, indicating that capital is growing increasingly concentrated and making it ever harder for workers to start their own enterprises. 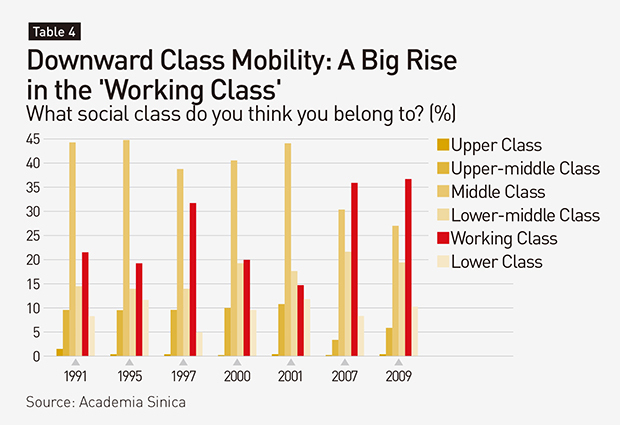 Surveys on social change in recent years show that class consciousness is on the rise, with working class identity getting stronger. Things started to change between 1997 and 2000, and now more working people in Taiwan identify themselves as members of the working class than of any other social class. This reflects a very strong class consciousness, where I’m on one side and you’re on the other. Neo-liberalism represents Taiwan’s biggest problem today, with all policies and the mindsets of top economic and financial officials all stuck in that ideology. In the words of New York Times columnist Thomas Friedman, the world is flat. It’s an excellent slogan. His message was clear: that all factors of production must be able to flow freely. Consequently, governments should not interfere with these factors of production or intervene in markets like the property market or labor market. Under this philosophy, it’s best not to set a minimum wage or if one is set it should not be raised, and working hours should also not be limited but rather left up to labor-management agreements. But a growing number of studies on liberalization have found that cutting taxes, a favorite neo-liberal prescription, is not effective, and moderate increases in the minimum wage do not lead to unemployment. Economic theory has also professed that when developing countries become developed, a trickle-down effect occurs. Once trade is liberalized, farmers will rush to seek employment as laborers and their wages will rise, elevating their standards of living. The problem is, this has not happened. What has been observed is that the more you cut taxes, the faster capital flows away. Neo-liberalism argues that cutting corporate taxes puts more money in the hands of companies, which know better than governments what industries to invest in. That investment then spurs the domestic economy and employment. Every time taxes are cut, however, capital has not stayed in the country. The country cuts taxes, but where companies invest is up to them. The clearest example is when Taiwan cut taxes, Taiwan’s capital outflows accelerated the next year. In the early stages of Taiwan’s economic development, it applied developmental state theory, believing that highly talented officials can set far-sighted policies that will help the economy grow. This model stressing the idea of talented technocrats enjoyed favor early on, but it has since been found to be a failure more often than not. National development used to involve investing in whatever industries Western economies were developing, with the faster the investment, the more successful the industry. It would be like if we wanted to popularize soccer. We would tell people in the country that we should play soccer because it is the most popular commercial sport in the world today and build a bunch of soccer stadiums and factories to get ready to grow the sport. The petrochemical and steel industries got going in the past in this way. At the time, there weren’t many competitors – there was no China and no India – so that approach guaranteed victory. Today, however, developing countries can all build soccer stadiums, so that old strategy doesn’t work anymore. The promotion of the biotechnology sector in Taiwan is a grisly example. So what should be done to meet the challenges of the future? First, we have to restore the tax base and increase taxes on the wealthy. Taiwan’s “tax burden,” its total tax revenue as a percentage of GDP, is only 12 percent, far below the nearly 35 percent averaged by OECD countries. If we don’t restore the tax base, there are many investments that cannot be made and even modernizing basic infrastructure will be difficult. Then we have to make sure that the additional tax revenues are channeled into industrial innovation rather than simply distributing them as social welfare benefits. For example, Japan makes robots. It is facing its aging problem by using artificial intelligence and robots. So the question is should you put your money into the robotics industry or into caregiving? It’s a choice. There’s no way we can become Scandinavia or somebody else in a single step. We are at a critical moment in a global systems competition, and we may not be able to simply transplant the policies of others in Taiwan. That’s a problem that all large economic entities have to face. The process of figuring out to give companies opportunities to innovate as we expand the welfare state will definitely take a long time. We need to harness the niches we have always had to effectively integrate social welfare needs and development. We are a middle-aged economic entity that needs to maintain its stamina and age in a healthy manner.